Kaluki is one of the classic variations of rummy that has many followers. Kaluki rules incorporate wild cards and, as with most rummy games is player with between 2 and 4 players. Before we start looking at Kauki, it's worth mentioning that the game has a number of spellings although the pronounciation is always the same. The game is also known as Kalooki or Kalookie. Unlike Gin Rummy, players of Kaluki Rummy are always dealt 13 cards, regardless of hoe many players are in the game. 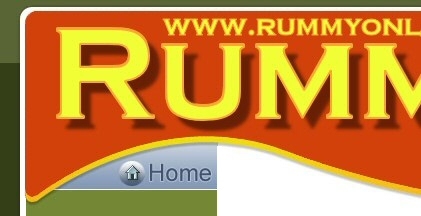 As with all other rummy games, the aim is to get rid of all your cards before your opponents. This is done by laying them down in sets or runs. A "set" contains 3 or 4 cards of the same value. A "run" of cards consists of 3 or more consecutively numbers cards of the same suit. For example, 2, 3, 4 of Clubs. To start your turn in a game of Kaluki, you must draw a card from either the discard or stick piles that are on the table. This card is added to your hand and after making any sets or runs and on completion of your turn, a card from your hand must be placed in the discard pile. During a Kaluki Rummy players turn, players are allowed to “build” hands. The Kaluki Rummy rules state that this means that the player whose turn it is can add matching cards to any melds that are already laid on the table. Building or adding cards to already laid down hands is a strategic part of Kaluki and cards can either be added to previous hands laid down by them or any of the other players. • By adding matching consecutive cards to either end of a run, example, adding a 2 valued card to a 3, 4, 5 run. A joker is used in Kaluki and the Joker card can be used as a substitute for any other card. Once used, the Joker is given the value of the card it has been used to represent. The reuse of Jokers in Kaluki can be done, but in a specific way. In a 3 card set that uses the Joker, the Joker may be released for equal ranking cards of both missing only. By adding just one card of one missing suit, a closed 4 card set is formed, from which the Joker may never be released. In case a 3 card set contains two Jokers, players can add either one of the missing suits, releasing one of the Jokers and forming a closed 4 card set. In the case of a run which contains a Joker card, the player which releases the Joker cannot keep it in their hand, it must be used to build a melded hand and requires to be laid back on the table in the same turn. We’ll now have a look at what these terms mean in a game of Kaluki. “Hunt” is when a player melds all of their cards and lays them down on the table at once with the last card, not being part of a meld, which is then placed into the discard pile. “Going Out” is where a player melds their cards, laying them down on the table gradually. The last card, as always, goes into the discard pile. In Kaluki rules, unlike other Rummy games like Gin, players cannot lay off any cards after player has won the hand. Players cannot dispose of any cards they are holding when a round has been won. A Hunt scores 40 points and the losers in the hand receive twice the amount of the value of their cards as penalty points. A “Going Out” hand receives 20 points and the defeated players get the value of their hands as penalty points. Kaluki is one of the most popular forms or all the rummy variations available, with the exception of Gin and Kaluki rules are easy to learn and grasp when playing online rummy..